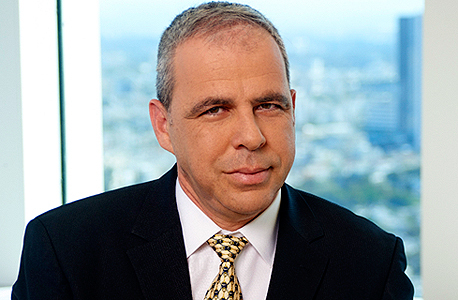 New York-headquartered private equity firm Warburg Pincus LLC is looking to keep Yaron Bloch in his role of chairman of Israeli credit card issuer Leumi Card, according to one person familiar with the matter who spoke to Calcalist on condition of anonymity. Warburg Pincus acquired Leumi Card, a subsidiary of Israel-based Bank Leumi, in July for around $640 million (NIS 2.5 billion). In a meeting with representatives of Israel’s Central Bank last week, Daniel Zilberman, managing director and head of Warburg Pincus’ European division, said that the firm intends to offer Bloch to continue to lead Leumi Card, the person said. The terms of Warburg Pincus’ offer were not disclosed. Bloch was appointed to lead the credit card issuer in 2017. It is yet unclear if Bloch will remain in his role under the new ownership, or whether he will stay in Bank Leumi, where he serves as CEO of Leumi Partners, the investment banking arm the bank. Bloch first joined Bank Leumi in 2008. In January 2017, the Israeli Parliament passed a law that mandates a separation between the two largest banks in Israel and their credit card subsidiaries, forcing Bank Leumi to divest Leumi Card. The credit card issuer employs 1,400 people.